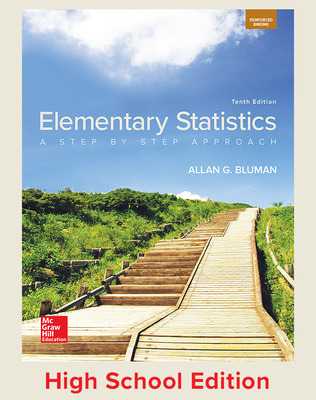 Elementary Statistics: A Step by Step Approach is the perfect general statistics text for students whose mathematical background is limited to algebra. This text is not intended for AP Statistics. The book follows a nontheoretical approach without formal proofs, explaining concepts intuitively and supporting them with abundant examples. 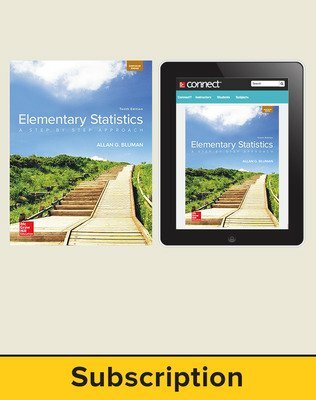 • The Student Solution Manual provides students with worked solutions to the odd exercises in Elementary Statistics: A Step by Step Approach. 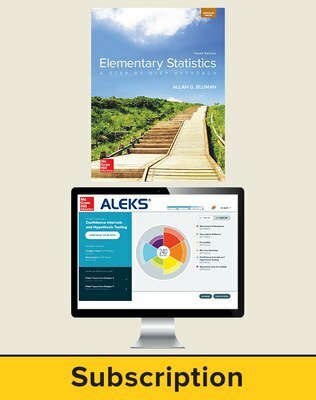 • For the first time we are offering ALEKS® 360 for Introduction to Statistics with Bluman, Elementary Statistics: A Step by Step Approach. 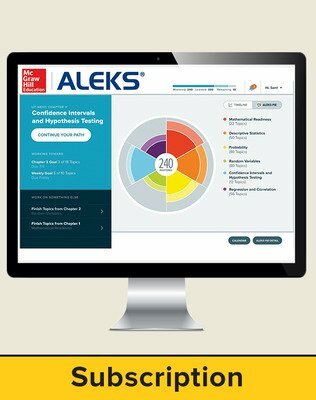 This version of ALEKS is fully integrated with Elementary Statistics. 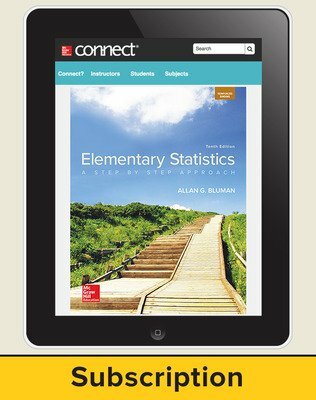 It is the perfect companion to your textbook and to help students master the content of a general statistics course.